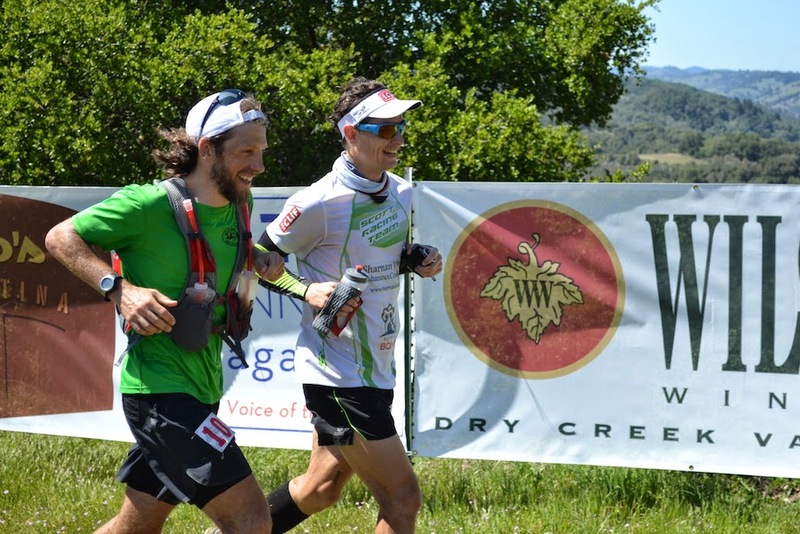 Lake Sonoma has become an incredibly competitive major race on the trail circuit, partly due to it offering Western States entries to the top three (or potentially four) men and women. To avoid over-racing this year and given a focus on Western States and Leadville, I ran it like the first half of an 100-miler, planning to run with Nick Clark. 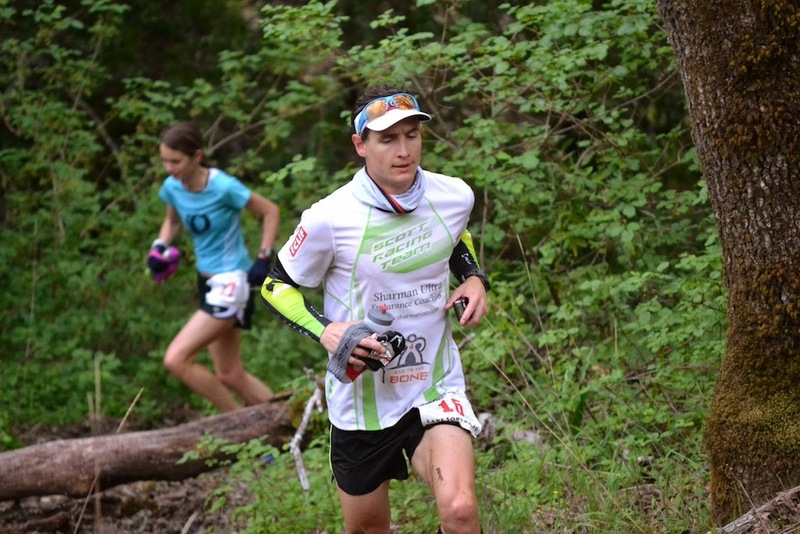 He was also taking things a little easier since he's racing UTMF in just under two weeks. Unfortunately I missed the start since I was in the toilet queue and got going from the back of the pack. Since I wanted to keep the pressure low this worked out fine, but meant I only caught up to Nick just after the final aid station. What I didn't miss out on were the great views of the lake on a course that didn't contain any hills bigger than about 600ft but still crammed in over 10,000ft of ascent. A fantastic out-and-back route where the course records were broken, as expected. Full results here. Things felt fairly comfortable except the final couple of miles with Nick. He just wanted to get it done by that point and pushed a little more than I wanted, but we crossed the line in joint 18th. Here's the Strava file that lost a little signal in the early fog and gratuitous tree cover. Legs felt surprisingly good hiking Mt Diablo today, so it looks like the training is paying off. Around mile one due to the road start to allow space to spread out before the single track. Running with Kaci Lickteig for half the day as she got third, under the old female CR. 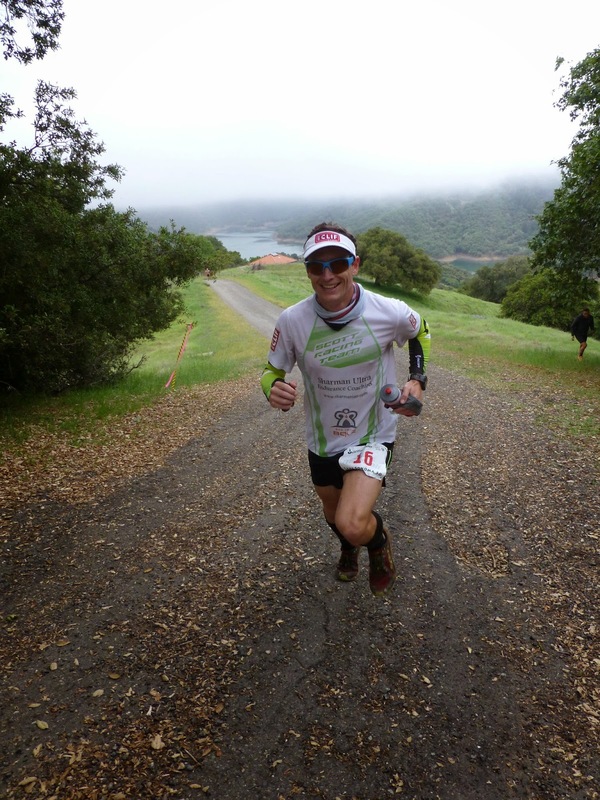 irunfar's Bryon Powell and Kim Gaylord. I posed for this one, although this is roughly how the leaders must have run every hill. Bay Area giants making me look like a short-arse at the turnaround. 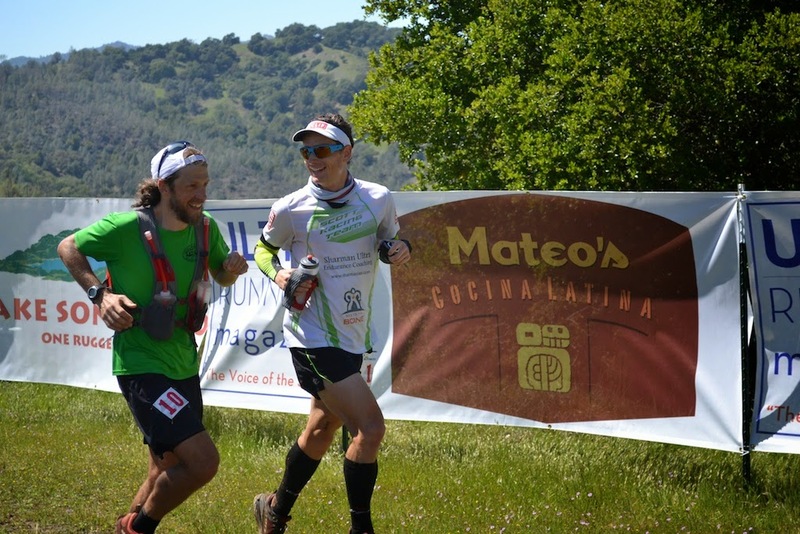 Jorge Maravilla (left) wasn't running due to injury and Matt Laye is saving himself for Boston nine days later. Low water levels due to the drought. Nick Clark at the end. Over the past 250 miles we've raced each other our total time is just a few seconds apart. 16 miles from the finish, so the sign lies - that's pretty close to the end. Plus a few more shots courtesy of Ultra Running Magazine.